My husband needed to have a work day at our house. I needed to get the kids out because nobody likes crazy screaming kids around while they work. Our first stop was the splash pad. It was a hot day. As I walked toward the splash pad I saw several moms slathering their kids up with Coppertone and Banana Boat. I cringed a little bit—oh, the toxins. Everyone approaches time in the sun a little differently. Some just take the doctor’s word for it and keep their kids covered up and coated in a thick coat of sunscreen at all times. Others swear their granny spent every day outside, got burned plenty of times, but never had any health problems—so what’s all the fuss? Just skip the sunscreen. And still others have friends who constantly keep covered up and out of the sun but end up with skin caner anyway. Pass the bottle of SPF 75, please. But we don’t want to base our opinions just on stories and anecdotal evidence. We want to base it on what the research actually says. With a title like this, you might think I’m “anti-doctor.” But I’m not dissing doctors here. I was extremely thankful for doctors when I was in a 4-wheeler accident recently and they were able to mitigate a potential disaster. A lacerated liver isn’t anything to fool around with! The fact of the matter is, doctors are often a decade or more behind in what the research says on any given topic. Most doctors simply don’t have the time to keep up with the current research on all of the topics in their given field. It’s a very exceptional doctor that is able to stay on top of the research in their specialty (and they do exist—I’m happy I’ve found a couple of them). We live in an age where we have access to all of the research they do. We can (and should) be an advocate for our family’s health. We don’t want to simply take the doctor’s word for it. We don’t want to just go on the anecdotal evidence and stories we hear from our friends and family. It’s important we base our action and decisions on the evidence. 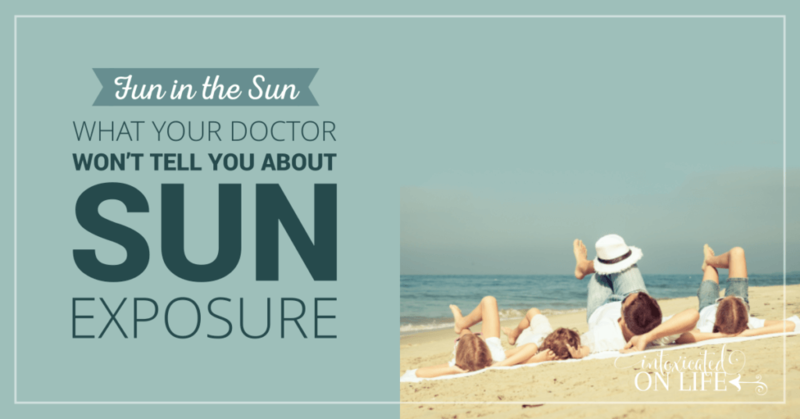 Let’s dig into what the the research actually says about sun-exposure. This was the conclusion study published in 2016 —a study that included nearly 30,000 Swedish women. These women were tracked for 20 years. The researchers found that the women in the study who strictly avoided the sun were nearly twice as likely to die early as those who had moderate sun exposure. But what about skin cancer—melanoma? It was found that the women who were exposed to sun weren’t at any increased risk for malignant melanoma or melanoma-related death. This study concluded that avoiding the sun was a risk for death on par with cigarette smoking. That’s crazy! Lest you believe this is just one isolated study. It follows in the heels of another study2 published in 2011 that followed over 38,000 women. This study, likewise, concluded that women who had regular exposure to sunlight had a reduced risk of early death. And what about those women who avoided the sun? Those women had both an increased risk of early death from various causes—including cancer. Insufficient sun exposure has become a major public health problem, demanding an immediate change in the current sun-avoidance public health advice. 2. Get out in the sun—it’s good for you! Getting a moderate amount of sun exposure not only feels good, but it is in fact good for you! Non-burning sun exposure decreases your chance of melanoma. In fact, long-term sun-exposure seems to protect the skin.16 It’s the lack of sun exposure that may be driving the rates of melanoma up year after year. And again, while it may seem counterintuitive, studies show3 regular, consistent sun-exposure is associated with increased survival of melanoma. The sun is the best way to acquire bio-available Vitamin D. Individuals in the US have major problems with Vitamin D deficiency. 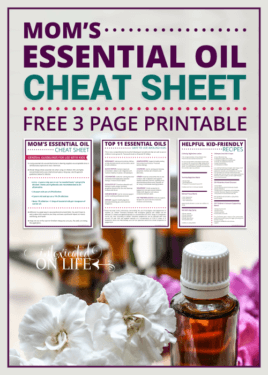 When you’re deficient in this essential Vitamin (which is actually a hormone), it predisposes you to numerous cancers, heart disease, stroke, autoimmune diseases, diabetes, and more. Ultraviolet light, such as that from the sun, reduces blood pressure.4, 5 Individuals who live in northern or southern areas (further away from the equator) tend to have more hypertension. High blood pressure damages your body over time and can cause stroke, heart damage, and kidney damage. The reason we feel better when we get out in the sun, is because the sun is doing amazing things for our body. 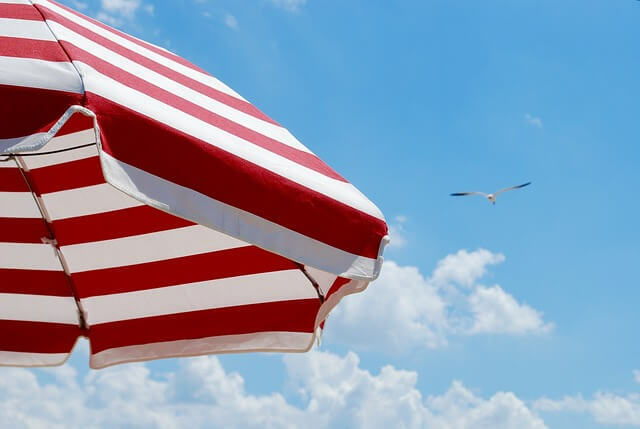 While moms cover up at the beach with wide-brimmed hats and umbrellas and slather their kiddos with sunscreen, the incidence of skin cancer keeps climbing. In fact, we’ve seen a rapid increase in skin cancer every year even though health officials continue to tell people to avoid the sun. There are in fact, two problems with sunscreen. While sunscreen may slow or stop an individual from burning, it’s blocking the most beneficial aspects of sun exposure—vitamin D and the cardiovascular benefits. Most commercially available sunscreens are filled with toxic chemicals, which may further cause problems. In a new report by the Environmental Working Group6 it was revealed that the most common chemicals found in sunscreen are endocrine disruptors, estrogenic and may interfere with thyroid and other hormone processes in the body. Use of sunscreen is a prime example of cutting off your nose to spite your face. While it may sound strange, you can actually protect your skin from the inside out. There are some simple dietary changes and supplements you can take that can really boost your body’s ability to protect itself from sunburn! Some of the primary things we want to be sure to do are focusing on an anti-inflammatory diet—avoiding or limiting processed foods, vegetable oil, grains, and sugar. Second, be sure to get plenty of antioxidants in our diet from fruits and veggies (especially those dark leafy greens). And finally, get lots of beneficial fats. Optimizing vitamin D levels, has been shown to protect against cancer and sunburn.7 Imagine that! One of the best ways to get vitamin D is from the sun and one of the best ways to protect your skin is with vitamin D.
So, get out in the sun (gradually) and also supplement if necessary. Here in the north, it’s hard to get our optimal vitamin D from the sun in the dead of winter, so it’s often necessary to supplement to keep our D levels in the correct range. This is the vitamin D supplement we use. 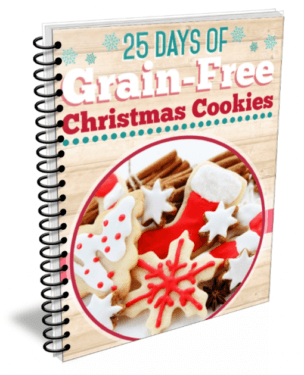 One easy and delicious dietary change that can be made is increasing the saturated fats and Omega 3 fatty acids you eat and decreasing your Omega 6 fatty acids. Research has shown16 that individuals with the highest levels of EPA and DHA were at the least risk of sun damage. There’s also good evidence16 that higher levels of saturated fats are great for skin protection. So what does this mean in real life? Bring on the coconut oil, butter, palm oil, and lard (well, lard from pastured piggies). Supplementing with fermented cod liver oil with high vitamin butter oil is also a great idea. Be sure to just say no to vegetable oil and canola oil. Fermented cod liver oil with high vitamin butter oil—great for sun protection, digestive health, and oral health. 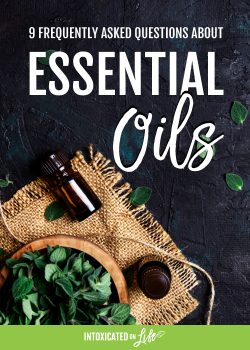 If you’re not a big algae, salmon, or shrimp eater, this is a good high-potency supplement to try out (bonus: it also made with coconut oil which is not only good itself for sun protection, but helps with the body’s absorption of astaxanthin). Cooked tomatoes, for the win! 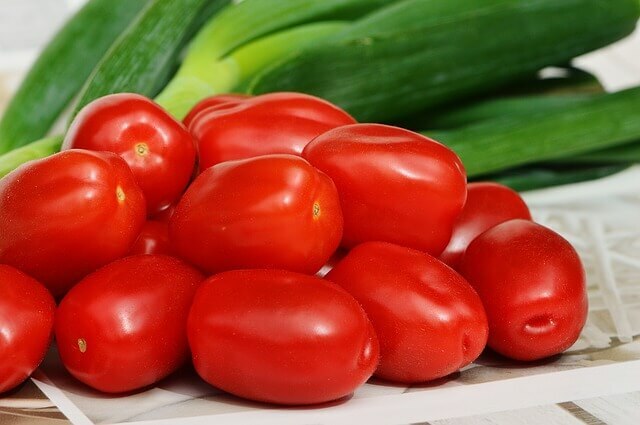 Cooked tomatoes, like tomato sauce or paste, have much better “bioavailability” of lycopene. That is, our bodies can use the lycopene in cooked tomatoes better than they can in raw tomatoes. Take advantage of all of those fresh garden tomatoes or pick a bushel up at the farmers market and make some tomato sauce and paste to use all through the year. 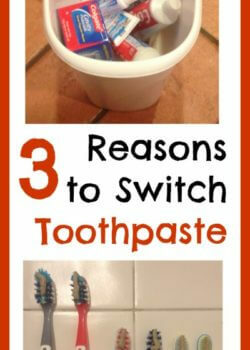 It’s a great way to help keep your skin healthy! Avoiding sunlight has been shown to put one at risk for early death. Consistent sun-exposure gives you necessary Vitamin D, helps to reduce the risk of high blood pressure, and decreases your chances of melanoma. 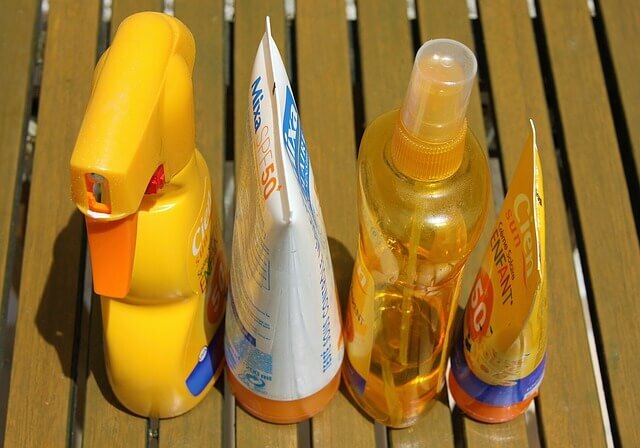 Most store-bought sunscreens eliminate the benefits of sun-exposure and are filled with harmful toxins. By increasing your intake of Vitamin D, coconut oil, palm oil, lard, cod liver oil with high vitamin butter oil, algae, salmon, shrimp, and cooked tomatoes, you can boost your body’s ability to protect itself from sunlight. How Much Exposure is Just Right? 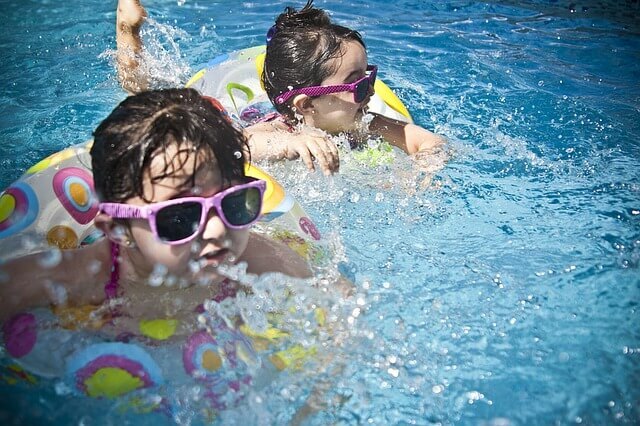 Finding the right amount of sun exposure for you (and your family) is a goldilocks endeavor. 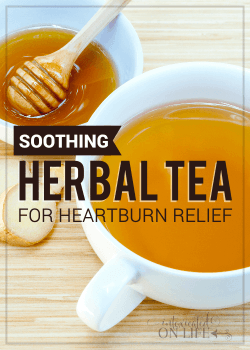 You don’t want too much—you certainly don’t want to burn and cause damage to your skin. But you don’t want too little either—it’s important to garner the benefits the sun can provide us. If you are looking to minimize the risk of skin cancer while also optimizing your vitamin D levels and gain access to the cardiovascular and immune boosting benefits the sunlight has to offer, there’s a few things to keep in mind. How long does it take for your skin to burn? Skin that is turning red is our body’s built in indicator that we’ve been outside too long. For some of us, that means we can just spend 15 minutes outside—these are bodies very efficient at making vitamin D. Others can spend an hour or more outside—these are bodies that take more time to make vitamin D. Be sure you’re covering up, moving to a shaded area, or going inside before you begin to burn or even turn a slight shade of pink. What time of day is it? Suns rays tend to be the strongest between 10am and 4pm. If you are more prone to burning quickly and have outdoor work, get up early in the morning or spend time later in the day getting it done. What’s your latitude—how close are you to the equator? The closer you are to the equator, the more direct sunlight you’ll get. If you live in the southern US, you’ll receive approximately 1.5 times more sunlight than those of us who live up north. What time of year is it? In many parts of the world (when you don’t live near the equator), this can play a big role in the strength of the suns rays. During the summer, the position of the sun causes the rays to be stronger which makes it easier to burn. 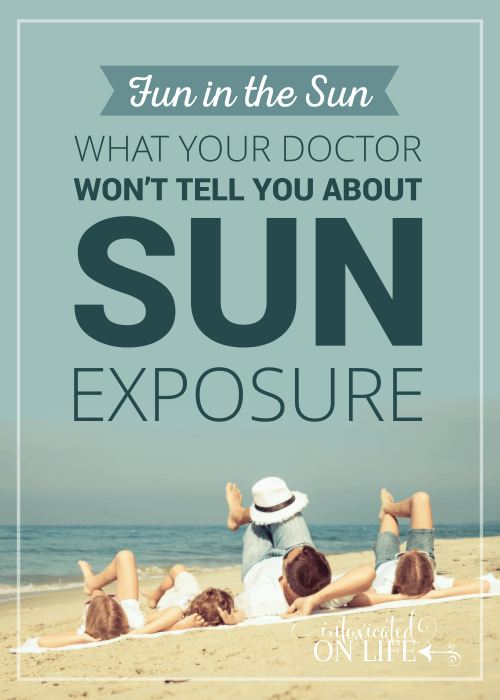 Have you had any recent sun exposure? Try to begin getting just a little sun exposure at a time if you tend to burn easily. You should be able to gradually increase the amount of time you spend in the sun while still avoiding burning. And what about the times you’re going to be outside for a longer period of time, enough time that you might burn? For those times, the best option is to keep covered up and try to seek out shade. The next best option is to find a non-toxic, mineral-based sunscreen. Not sure where to find the best sunscreen options. Don’t worry, we’ve got you covered! We’ll be publishing an easy DIY option and for those that have no interest and making it themselves, I’ll be providing you with a list of the top 10 sunscreens you can grab at the store. Don’t be a hermit. Get yourself and your kids outside every day and reap all the amazing benefits the sun has to offer! Sharing at Pam’s Party & Practical Tips, Mommy on Demand, The Modest Mom Blog, Create with Joy, Saving 4 Six, and Missional Women. It is unfortunate an agency like the FDA that was designed to help protect us has been so used and abused and bought by big pharma. Always follow the money! I know there is still some good they do, but they have done much damage and spread a lot of misinformation as well. Very true! Well written information. Thank you. Thanks so much for this post. I love it! I can’t tell you how many times I have been looked down upon for not slathering sunscreen on my kids. As someone who suffers from depression, more specifically SADD, I know how important sunlight is to me. I did not know that people that burned quickly made vitamin D more efficiently. So, as someone that also has olive skin and does not burn, does that mean I need more than 15 minutes of sun? I’ve always read/been told that 15 minutes is enough. You’re welcome! I’m glad you enjoyed the post :). And yes, the more pale your skin is, the less sun you need to produce vitamin D. The darker your skin, the more direct sunlight you need to produce an adequate amount of Vitamin D. I’m guessing with an olive skin tone, you probably need more than 15 minutes. Also, usually that “15 minutes” number is thrown around assuming you have a large part of your body exposed.